Post your time zone here! Especially DrH members so I can get a sense of when you play when you say something like between 4 pm and 5 pm! I can better organise Clan Wars! If you could post your country as well, that would be great! [DrH]Deathwatch[Ldr] wrote: Post your time zone here! Especially DrH members so I can get a sense of when you play when you say something like between 4 pm and 5 pm! I can better organise Clan Wars! If you could post your country as well, that would be great! Re: Post your time zone! That's Mountain Time in U.S.A. GMT -7 Basicly 2 hours behind Pacific time. Nah, has to be GMT -10, because he said 2 hours behind. you lose deathwatch because the only places in GMT -10 are alaska, hawaii and another place whereas, HAlo said that its 2 hours behind but both gmt -7 and gmt -6 are used in denver. LOSER! asad wrote: you lose deathwatch because the only places in GMT -10 are alaska, hawaii and another place whereas, HAlo said that its 2 hours behind but both gmt -7 and gmt -6 are used in denver. LOSER! I'm pretty sure you want a ban from forums? GMT +9.5, Australian central time. We could have a banning competition. Ranger, you would be first. For a couple of reasons. 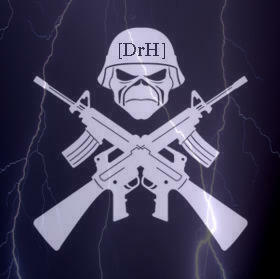 [DrH]*BlackDeath*[Ldr] wrote: GMT +9.5, Australian central time. There are multiple places with timezones between hour intervals. There is one with GMT + 4:45 I think. Nope, go check it up.